There are lots of little restaurants around the school, but most of them are Thai, which means that they are outside, and you can pretty much only have rice, rice, or rice. But, there is the steak place. We call it that because we aren't sure what the name of the place actually is, and because you can get a fairy decent steak sandwich there for 89 baht. 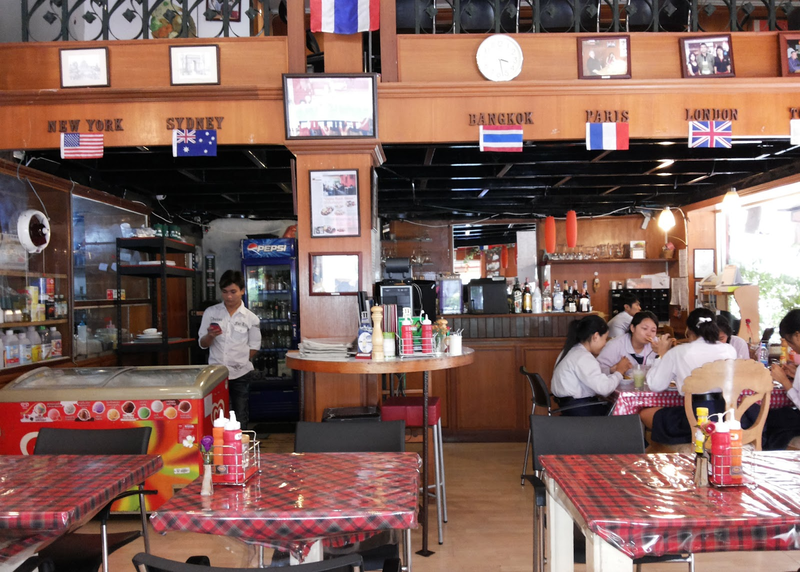 It's indoors, the food is OK, the staff is friendly and speak passable English, and the prices are very reasonable. Marlene, Chanelle, and I probably hit there 3 times a week. And probably 3 times a day during exam weeks, when we have absolutely nothing to do.